A research conducted at the University of California, Davis, has revealed that ocean acidification has negative effects on the ability of sea snails to flee from sea stars that prey on them. The results of the study were reported in the journal Proceedings of The Royal Society B. It stated that ocean acidification, by impacting the interactions between predators and preys, can have massive consequences on the food chain system of the ecosystems on the shorelines. For example, if black turban snails that feed on algae are consumed in huge numbers by their predators, then it can lead to increase in the density of algae. Black turban snails and ochre sea stars were collected by Jellison and her associates at the UC Davis Bodega Marine Laboratory. These two species, common in the Pacific coastline, were gathered from tide pools found in the Bodega Marine Reserve. They were then made to inhabit in the lab tanks, where their interactions were studied. The team developed 16 varied levels of pH or acidity, between the range of the current acidity level and those expected in rocky intertidal pools in the year 2100, in order to observe the interactions of the two species. The observation revealed that the high acidity or low pH levels did not affect the snails’ speed or their ability to be aware of the sea stars. However, the acidity did slow down the escape response of the snails. 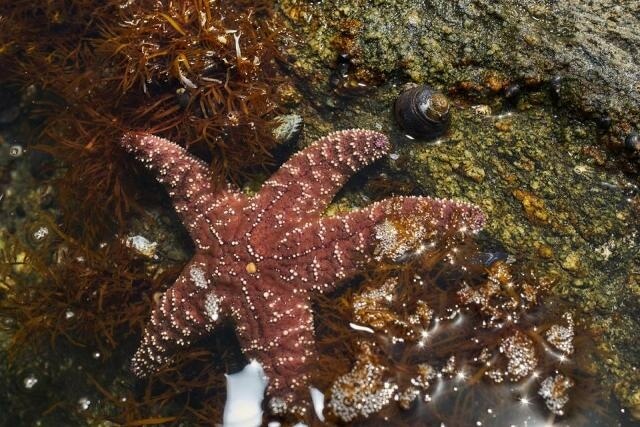 Generally, when an ochre sea star tries to prey on a black turban snail, the snail immediately crawls out of the tide pool, as sea stars do not mostly move out of the water to follow their prey. The snails, however, were not capable of effectively putting their escape plans to action when the acidity levels reached 7.1 or lower. Moreover, the snails were not able to regain their escape response even when the acidity levels vacillated between normal and higher levels. The pH or acidity levels that trigger changes in the behavior of the snails have already been reached in the tide pools and are only expected to go up in the years to come. Additional research has to be done to comprehend the reason behind the deterioration in the escape response of the snails and to find out if they would be able to adapt themselves to the increased ocean acidification of the future. The study highlighted that out of the total carbon dioxide emission caused by humans, one-third reaches the ocean, thus increasing the acidity of seawater. There is the possibility of rocky tide pools to function as an indicator for ocean conditions that occur in the future. These pools experience pH levels that are anticipated for the open ocean. Models predict a decrease of 0.3 to 0.4 in the average ocean pH level on a global scale by the year 2100. Dozens of West Coast species display escape responses to sea stars. We don’t yet know the extent to which ocean acidification could alter these additional predator-prey interactions, but there is clear potential for broader disruption of links within shoreline food webs. The co-authors of the study, who are all affiliated with the UC Davis Bodega Marine Laboratory, include graduate student Aaron Ninokawa, Professor Tessa Hill of the Department of Earth and Planetary Sciences and Coastal Marine Science Institute, and Professors Eric Sanford and Brian Gaylord of the Department of Evolution and Ecology. The research was sponsored by grants from the California Sea Grant, UC Davis Bodega Marine Laboratory and the National Science Foundation.